Jaïpur Homme (Eau de Parfum) is a popular perfume by Boucheron for men and was released in 1997. The scent is oriental-spicy. Projection and longevity are above-average. It is still in production. 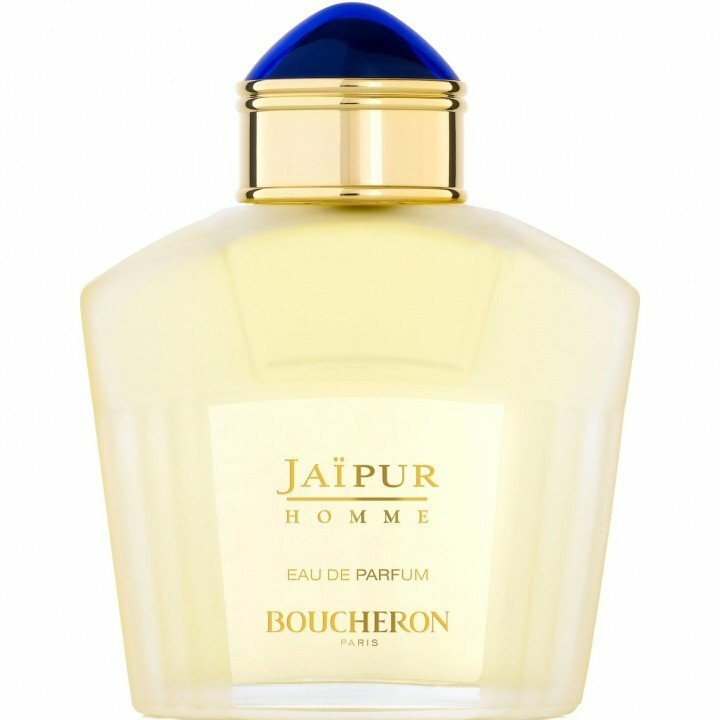 This is a variant of the perfume Jaïpur Homme (Eau de Toilette) by Boucheron, which differs in concentration. Yeah, they're still around today. Rarely, but at least. And when I was a kid, I was always obsessed with it. This moment, which revealed to me the inside, which little treasures were inherent in it, was always the most beautiful Some of it was kitsch, others of "great value" for a 7 to 11 year old... A "Dotzball", a whistle, a metal bracelet...and much more. And today there are scents for me that are "miracle bags". 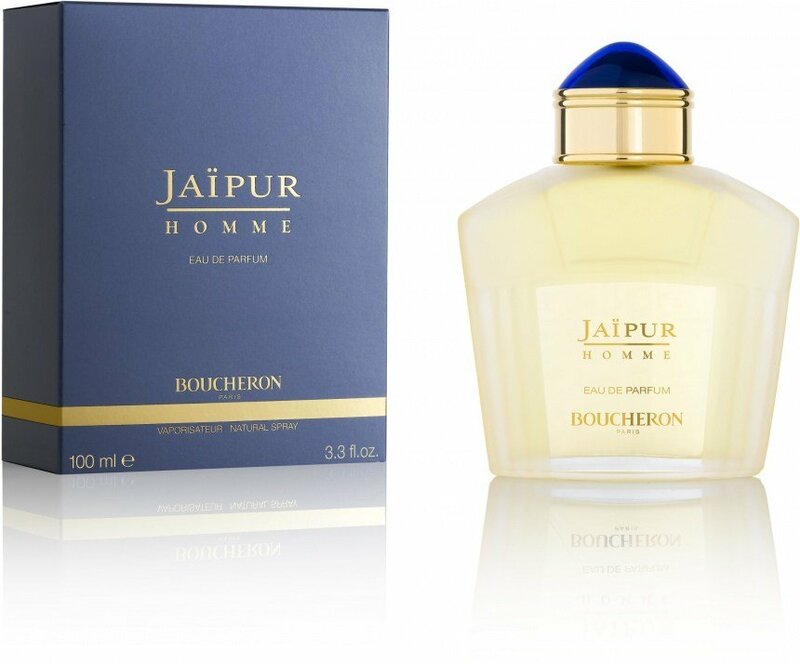 That certainly includes Jaipur Homme. Such a small sample of it at my home has laughed at me just before for testing. And now, little by little, he's "revealing" his little secrets. "Rolls out" slowly in front of my nose, like a "snake buzzer" from earlier times... But the "tones" are sometimes a bit weird, but wonderful. At first, the citrus-flavored heliotrope seems to jump fresh and cheerfully in front of me to give me a bouquet of flowers. But this one then becomes more and more "serious" and noble. Has something of a summer garden with roses and carnations that smell spicy on the bet. A pinch of cinnamon in the kitchen left speculatius tickles my nose, delights me, surprise... i like it!! But even more little "treasures" come to light now...a small box made of cedar wood, inside one of the great patchouli oils from the Orient shop and one with dark vanilla... A conglomeration of small surprising delicacies, "toys" and soul delights. A small part of lovable kitsch, the bigger one a wonderfully "colorful wonder bag fragrance" with depth. Jaisukh was strolling along the dusty road. Rajasthan is a large country with twisty yellow roads going in every direction, through valleys and mountains, jungles and prairies. Jaisukh was pretty confident with the directions he had choosen. Nevertheless a yellowish colour was starting to make the blue of the sky disappear bit by bit. Within less than one our it would be night. -"Jaisukh"! an old voice called! -"Who's there?" asked the young man! -"Stupid road that never seems to end. And I am imagining voices now.The night is approaching and I am still far from...."
-"Jaisukh!" The old voice called again! -"Show yourself! Is that you, Krishna? Stop playing tricks on me..." screamed Jaisukh thinking that his brother Krishna was trying to scare him. Jaisukh was well known for its respect of spirits and wizardries. Quite often other boys played creepy tricks on him. On the other hand, having Krishna around only meant that his almost one day long journey was probably about to finish. The grinchy old voice said slowly and mockingly - "Oh come on little brother, you can't seriously believe in stories of rogue gypsy spirits roaming this dusty roads?" That wasn't Krishna for sure. Jaisukh started trembling, thinking at one hundred different possibilities, all of them fantastic and frightning, with huge mouths and claws, leaving nothing behind but blood stained clothes. - "Sahib... Sahib, what are you?" -"Stop thinking about ghosts and death... You still have a long way to go... Give me that brown cinnamon, those flowers, leaves and beans, and I will make something meant for you..."
Jaisukh rethought about his fears. Is it Krishna or not? - "I am a big man and I don't believe in ghosts and evil beings. I am leaving now..."
-"Take this golden bottle with you containing the scent of a heavenly creation power. It will keep you strong instead of fearful, while me and the other good willing companions of Shiva will pray and care for your safe journey and labours. Cleanse and soothe yourself with this essence every morning for in it is concealed the needed strength of Shiva for you to build his resting place of Jaipur. Glory to the ‘Shahar Kotwal’ of Jaipur." So Jaipur was buit upon Jaisukh cinammon sticks, sweet beans, fragrant leaves and flowers, dried fruits and juicy citrus, scented woods and holy incenses, used to blend the shiny oinment coloured of the same yellow of the Rajasthan sooty roads. Jaisuckh was forever to be remembered as the "joy of winning"* over the long winding dusty trails and the jungle deadly creatures of Rajasthan with the lakes, palaces and heavenly essencial oils of Jaipur. 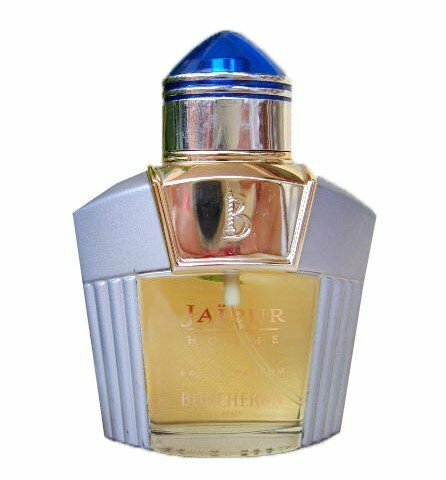 One of the most alluring oriental scents available for a very competitive price. A real masterpiece! Recommended? Absolutely! I have both the EDP and the EDT. Both are recommended. Blind buy worthy? Yes - Be bold! Music: Norah Jones - "Don't Know Why"
note* - "Jaisukh" literally means "joy of winning"
Oriental, Spicy, Fresh, Sweet, Powdery, Citrusy.